One of the greatest examples of the power of hope is found in Lamentations. Jeremiah, the prophet, probably could have been excused for giving up hope as he had struggled against all sorts of attacks and derision and scorn as he tried to bring the Word of God to a nation who was turning away from God, but yet despite all his afflictions, he never gave up hope in a loving God. 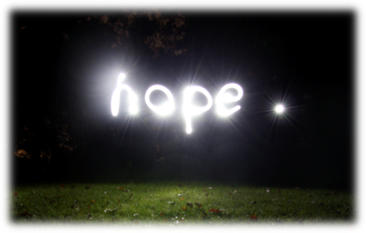 Hopelessness, on the other hand, can define us by negative attitudes, anger, bitterness and depression, but we can choose to banish these destructive forces and be filled with hope instead and when we exhibit this in our everyday life others are blessed by our positive attitude. We all know how difficult it is to be with someone who is constantly negative about every proposed venture. We have heard it all, “It won’t work, you know” “Why waste your time on that”, but how willingly we welcome those who have the spirit of hope constantly filling them. 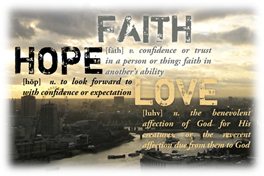 When this hope is fired by love for the Lord, incredible things happen. How wonderful to feel our inner selves becoming stronger as we realise the Rock of Ages stands behind us. How liberating to soar above our troubles with wings like eagles, trusting the Lord to uphold us. How comforting to know that this hope will never fade or disappear. Advent is a great time to renew our hope in the goodness and mercy of our loving Saviour, to spread this hope through our actions and our words to all we come across and to boldly claim his promises and if someone asks you why you appear to be so hopeful, this was how the Psalmists replied. Last week I couldn’t get your blog up at all Jo. The same thing happened this morning but I kept hoping and trying and there it was! Thanks Jo and happy hopeful advent. Love, Mary.